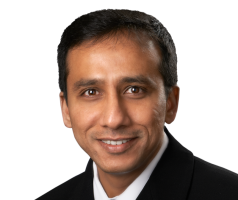 Dr. Naveen Gowda is a member of CRL’s Vascular & Interventional Radiology team, and is currently placed at St. Luke’s Hospital in Duluth, MN. Dr. Gowda completed his residency training in Diagnostic Radiology at the University of Minnesota, Minneapolis. He pursued his fellowships in Vascular and Interventional Radiology and Thoracoabdominal Imaging at the University of Minnesota. Dr. Gowda also received Nuclear Medicine residency training at All India Institute of Medical Sciences, New Delhi, India. When he is not working, Dr. Gowda likes to spend time with his friends and family, learn new technological advances and create educational websites.